Sobsky fish-farming plant reported on the next stage of growing of broad whitefish – chir. Three-week-old fingerlings reached the weight about 30 milligrams. Their hatching period began on the 25th of March. All this time they received special feeds. It is planned to release them into the natural environment in summer, when they reach the weight about 0.5 grams. As it should be noted, the fingerlings of chir hatched out of local fish eggs, which had been collected last autumn. As we should remind, the first release of the young chir and muksun under the ice of the river Sob took place this February. About 9 thousand fingerlings of muksun and 17 thousand – of chir were released within the experiment. 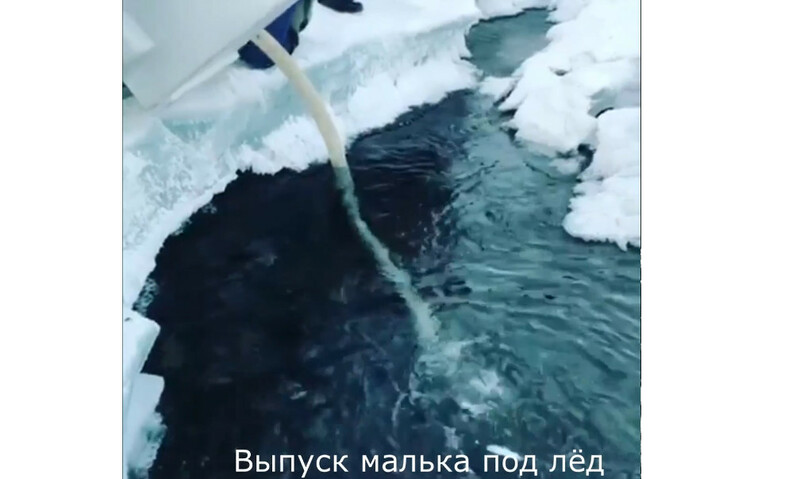 Sobsky fish-farming plant is the only one in the Arctic for reproduction of valuable and endangered whitefish species. The authorities of Yamal-Nenets Autonomous Okrug plan to begin construction of the fish-farming plant on the Taz River in 2019, it will become a branch of Sobsky fish-farming plant. According to the earlier information given by the director of Sobsky fish-farming plant Daniel Eltekov, in 2019 the enterprise plans to release about 30-35 million fingerlings of chir and muksun to rivers of Yamal. In 2018 the plant grew and released 19 million fingerlings of pelyad, 8 million 200 thousand – of chir and 5 million 100 thousand — of muksun, in total — 32 million fingerlings of whitefish.